The bulk of Parshas Vayeishev, and the remainder of the book of Genesis, is devoted to the story of Joseph in Egypt. After Joseph was sold into slavery and brought to Egypt, he was purchased by Potiphar, a courtier of Pharaoh. Within a a relatively short time, Joseph rose to become his master's most trusted servant and he was appointed over the entire household. However, at this point Joseph began to face an extraordinarily difficult challenge. His master's wife developed a powerful desire for him. The Torah tells us that she spoke to him "day after day," seeking to seduce him. The Sages tell us that she used every weapon in her arsenal: seduction, bribery, and threats. Yet, despite all her efforts, Joseph never succumbed. Finally, one day, Potiphar's wife managed to get Joseph alone, and she literally grabbed onto him by his garments. Joseph fled, leaving his coat in her hand. Potiphar's wife then accused him of doing exactly what she had been trying to force him to do, and Joseph ended up being put in prison. The story of Joseph's resistance to sin is seen as one of the great examples of righteousness in history. This story is the main reason why Joseph is traditionally known as "Yosef HaTzadik" - "Joseph the Righteous". The Sages (Sotah 36b) describe Joseph's actions as "sanctifying the Name of Heaven in private" and they tell us (Yoma 35b) that Joseph "obligates the wicked", meaning that his successful struggle against sin demonstrates that a person can never legitimately claim that his temptations were too overwhelming. If Joseph, a teenage boy cut off from his family and enslaved in a foreign country, could resist such an overwhelming temptation, then who can honestly claim that they have faced a more difficult challenge? Indeed, the story is so exceptional that there have been those who have argued that it couldn't be true. The medrash (Breishis Raba 87) tells us that a Roman matron once challenged Rav Yosi on this topic, saying, "Is it possible that a seventeen year old boy really had such strength?" 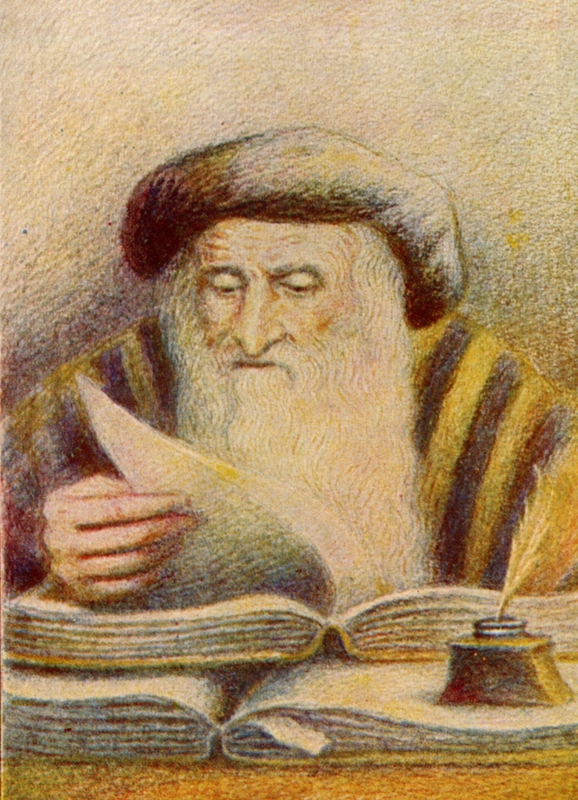 Rav Yosi responded by pointing to two other incidents that the Torah records in the previous chapters, the incident of Reuben (who, according to a literal reading of the verses, slept with Bilhah, his father's wife) and the incident of Judah and Tamar. In both of those cases, the Torah makes no effort to cover up the shameful nature of their actions, despite the fact that these were adults and were still under the influence and guidance of their father. Why then, would the Torah cover up for the sin of a young boy who had no one to turn to? Could any one really blame Joseph if, in his circumstances, he had succumbed to temptation? Thus, if the Torah tells us that Joseph did not sin, we can be certain that this is what happened. There are a few obvious questions to ask here. Perhaps the most basic is why would any of the Sages choose to say this about Joseph? Joseph is one of our great ancestors, why would the Sages chose to sully his reputation? In the 16th century, this question was posed to the chief rabbi of Jerusalem, R' Levi ibn Chaviv (d.1545). In his response (Teshuvos Maharlbach, 126), after briefly discussing the textual reasons that caused the Sages to put forth this interpretation, he turns to the question of the moral justification for this interpretation, which would appear to dishonor the memory of Joseph. To this he responds that such an interpretation does not detract from Joseph's righteousness in any way. Given the fact that, in the end, he did not commit the sin, the mere fact that he had, at some point, intended to sin does not make him any less righteous. On the contrary, the fact that he had reached that point and nevertheless ultimately turned away from sin actually increases his stature! This point is also made by the medieval commentary, Minchas Yehuda (by R' Yehuda ben Eliezer), which states that, "כיון שכבש יצרו אין זה כי אם שבח" - "Since he conquered his yetzer (his nature), this is nothing but praise." However, while this would seem to avoid the problem of dishonoring the memory of Joseph, we are still left with a difficulty. As we mentioned previously, the Sages say that Joseph's example puts the lie to anyone who claims that he should not be held responsible for his sinful behavior because he faced overwhelming temptation. After all, Joseph faced far greater temptation, yet he did not succumb. Yet, according to the Sages, in the final moment, what saved Joseph from sin was a vision of his father! If the only thing that saved Joseph from sin was a supernatural vision, how can we then claim that his example obligates others? There are some who argue that, in fact, Joseph's vision of his father was not supernatural at all (or, at least, was not a supernatural gift restricted to Joseph). Basing himself on the precise language of the Talmudic passage, R' Yosef Shaul Nathanson (d.1875), in his work, Divrei Shaul (a commentary on the aggadic passages of the Talmud), on Sotah 36b, writes that, at the final moment, Joseph deliberately brought before his mind the image of his father, and thereby saved himself from sin. Jacob represents the ideal combination of... two aspects: in him, justice and mercy were mingled in exact proportion, finely suited to each situation. His characteristic was Truth..., and it was this that enabled him to conquer both the temptations of love and of hatred, of the friendship and the persecution of the nations. ... This unwavering light of Truth in him, penetrating beyond all appearances, has been an heirloom to all his descendants. This was the quality latent in Joseph, that light that flared out suddenly in his temptation by Potiphar's wife. ... And this 'image of Jacob' is hidden in every one of Jacob's descendants, this touch-stone of truth, that guides us in all the trials of life. That is why 'Joseph is an accusation for the wicked': the 'image' is not the special prerogative of Joseph; it is in the power of everyone to summon it at will, to call to his aid in moments of confusion and distress the unerring vision of truth that penetrates all the disguises in which evil masquerades. Thus, every Jew has the ability to bring the "image of Jacob" before himself as a protection against sin. Whether in the simplest sense of bringing before ourselves the image of our own father (or mother, or spouse, or any other person before whom we would be ashamed to sin) at the moment of temptation, to a deeper contemplation of the reality of our circumstances in this world, and recognizing the fundamentally false and deceptive nature of sin and its apparent pleasures and benefits. However, while this is certainly a valid and important approach, it seems that most commentaries do see Joseph's vision of his father as having been of a supernatural nature, a kind of prophetic vision. According to this understanding, we are once again left with the difficulty we have been discussing. How can Joseph be credited for his self-restraint, and even seen as a model for our own behavior, if the only reason he refrained from sin was due to a supernatural intervention? This question is addressed by the Dubno Maggid, R' Yakov Kranz (d.1804), in his commentary on parshas Vayeishev (Ohel Yaakov, also see his Kochav L'Yakov on the haftara of Lech Lecha). (We have discussed this commentary of the Dubno Maggid previously.) The Dubno Maggid explains that, even though Joseph was on the verge of succumbing to sin, this was not because he had actually succumbed to his desires, but because he reached the limits of his ability to resist the immense pressure that he was being subjected to by Potiphar's wife. While Joseph had truly fought with all his strength, in the end she had overpowered and broken his will to resist. However, at this point God intervened. He intervened, not be taking control of Joseph's actions (which would remove any virtue from them) but simply by giving Joseph renewed strength to continue the fight. This was the vision of his father, which inspired Joseph with a renewed will to once again turn away from sin. And this is the reason why Joseph remains an accusation against the wicked. For this miraculous intervention is available to anyone who truly struggles, to the limits of his ability, to resist sin. We can never truly claim that we succumbed to sin because temptation overpowered us, for if we had truly fought to the limits of our ability, then God would have granted us the capacity to continue fighting even beyond our natural capacity. This helps us understand the almost supernatural strength of will that we see in great Torah sages, for each time they reach the limit of their will, God grants them additional strength to go further. In the final analysis, the story of Joseph's temptation, and his ultimate success in resisting sin, is one from which we can all learn. We learn, firstly, that one should not imagine that simply being tempted - even to the verge of sin - is equivalent to actual sin. Even if we, for a moment, wanted to sin, what really matters is whether, in the end, we actually did it. Secondly, we learn that, even at the very last moment, we can still work to save ourselves from sin if we pause, for just a moment, to think about the the true nature of our actions. One of the most effective ways to do this is to imagine how someone that we love and respect would react if they saw what we were about to do. And finally, we learn that, even when we feel that we are ultimately doomed to failure, because we know that we will eventually reach the limit of our will to resist, we should never give up the struggle, and in the end God will grant us the ability to go far beyond what we thought we were capable of achieving. Thank you. As usual you have woven together a beautiful piece of Torah. I enjoy these very much.